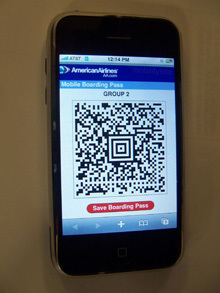 American Airlines has joined its peers at Continental in offering boarding pass barcodes that you can download to and display on your BlackBerry, iPhone, G1, or whatever have you. Presently the airline is only offering the option on domestic, non-stop flights departing from O'Hare -- LAX and Orange County will start on the 17th. Some eastern yanks might be asking, "What, no JFK or Logan? Where's the east coast love, AA?" Don't get too bent out of shape, boys and girls -- tech-savvy business travelers love their BlackBerries, so we could see this pop up just about everywhere before long. American Airlines getting in on that cellphone boarding pass fad originally appeared on Engadget on Fri, 14 Nov 2008 07:59:00 EST. Please see our terms for use of feeds. While a lot of us have had internet banking for years, who would have thought that AT&T would have come up with a mobile banking app that lets you check accounts and pay bills for a number of banks through a single iPhone app? Mobile Banking on AT&T (click opens iTunes) from Firethorn Holdings, LLC is exactly that -- an iPhone app that gives you full control over your money at 50 different banks nationwide. While the majority of the banks listed appear to be in the southeast USA, several nationwide banks including Wachovia, SunTrust, and USAA are participating in the program. I was pleased to see that my business bank, FirstBank, with brick and mortar banks in Colorado, Arizona, and California, was one of the companies on the AT&T list. You need to sign up through your bank's secure website, enter your iPhone number, pick a six-digit PIN, then perform an authorization from the device using a code displayed on the website. Once activated, you can see balances, make transfers, and pay ebills. 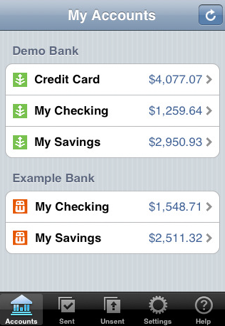 What's your favorite iPhone banking app? Or have you moved all of your funds to a coffee can buried in the back yard? Leave a comment! TUAWFirst Look: Mobile Banking on AT&T originally appeared on The Unofficial Apple Weblog (TUAW) on Tue, 04 Nov 2008 08:30:00 EST. Please see our terms for use of feeds. Last week, American authors and publishers reached an agreement with Google to settle lawsuits over Google's Book Search program, which scans millions of books and makes their contents available on the Internet. 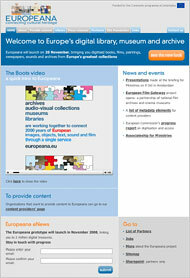 The deal lets Google sell electronic versions of copyrighted works that have gone out of print. "Almost overnight, not only has the largest publishing deal been struck, but the largest bookshop in the world has been built, even if it is not quite open for business yet," wrote Neill Denny, editor of The Bookseller, a trade publication based in London, on his blog. The Financial Times today reports that China does U-turn on online money-making. Making 'real' money by trading virtual currencies earned from online gaming was banned two years ago, but it looks like the Chinese government has changed its mind. China will now collect a 20 percent tax on income earned from online gaming. As I point out in a post on The end of Doha and the World of Warcraft, gold farming and trading in virtual currencies is "largely under the radar of the World Trade Organization and, to some extent, government tax collectors." The FT cites an online contributor with a slightly more poetic take on the issue: "If they successfully implement this tax, I will jump over Mount Everest." Maybe CPI should have a place here. We'll look into it. Teach The People, a Facebook application and fbFund finalist that allows users to create learning communities, has launched to the public. Alongside the public launch, the startup has also annouced its partnerships with The Learning Annex (which offers lessons from celebrities), Destiny Image, and Quinnipiac University's Professional Athlete Transition Institute which will help initially populate the site with content. At first glance Teach The People strongly resembles Facebook Groups, but offers a number of enhancements that make the platform more suitable for teaching. 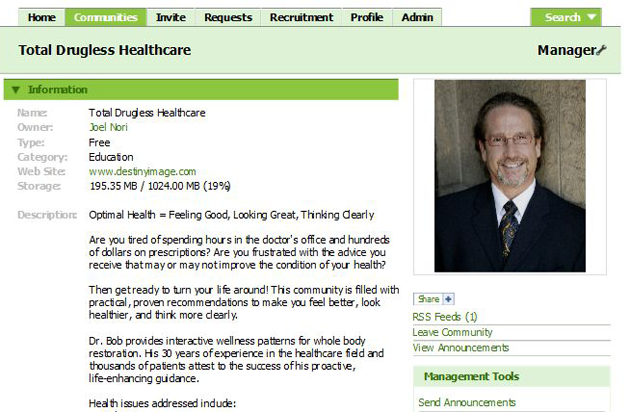 Each community instructor can upload documents, media, and online webcasts. The platform also will support premium content, offering an integrated payment system that allows instructors to charge for their online lessons. Users will make use of a Digg-like voting system to request that their favorite instructors cover topics they're interested in. And to ensure that the content available on the site will actually be worth paying for, Teach The People is planning to offer a certification process to instructors for around $50. The site will also be implementing a rating system. Teach The People originally launched at last year's TechCrunch40 as a standalone site, but is now shifting its focus to its Facebook application. The company was one of 25 winners (out of 600 applicants) to win $25,000 from the fbfund, and is in the running to win an additional $225,000 this December. The site will face plenty of competition in the online-learning space, with competitors including Grockit and Brightstorm. In the platform wars between Facebook on the one side and MySpace, Google, and the whole OpenSocial crew on the other, the side that makes it easier for application developers to make the most money will win. Advertising in social networks has always been problematic, and with an advertising recession upon us those already-low ad rates are going to get lower, not higher. The other way to make money on these platforms is to try to charge for apps themselves or sell things through the apps. But to do that developers first need a payment and billing system to tap into. Less than an hour ago, MySpace COO Amit Kapur revealed at the Web 2.0 Summit that MySpace is working on its own payments and virtual gift products that MySpace developers will be able to add to their own apps. Facebook has its own virtual gifts, but has not yet opened that to developers. (Although there is a gift economy inside Facebook powered by other companies). And Facebook has been rumored to be working on a payments system since forever. iPhone's App Store has proven that, at least on mobile phones, people are willing to pay for apps. Bringing that model to social networks could work if the quality of the apps goes up and the number goes down. One problem with Facebook and MySpace apps is that there are too many of them. there are no barriers to entry. Charging for apps, or trying to sell add-on services through them, would force the startups and developers creating them to build something that people are actually willing to pay for. And it is not just the developers who are in a sudden rush to figure out how they are going to make money. 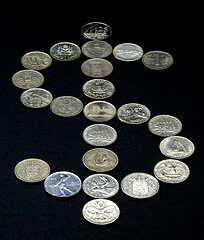 Facebook and MySpace are also under more pressure to ramp up revenues these days. The challenge to switching over to such a model from the current free-for-all is that the value of many of these apps is directly correlated with how many people use them. (More specifically, with how many of your friends use them). The minute someone charges for an app, the adoption rate goes way down. So some aspect of most of these apps will likely always be free. But the ability to charge for extras or for a more fully-featured experience might actually result in better apps being produced. In any case, the race is on to provide alternative revenue streams besides ads to app developers. Will MySpace beat Facebook to the payments party?